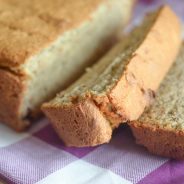 One of my favorite treats during the fall is Banana Bread, plus my picky eater will eat it too which makes it even better! 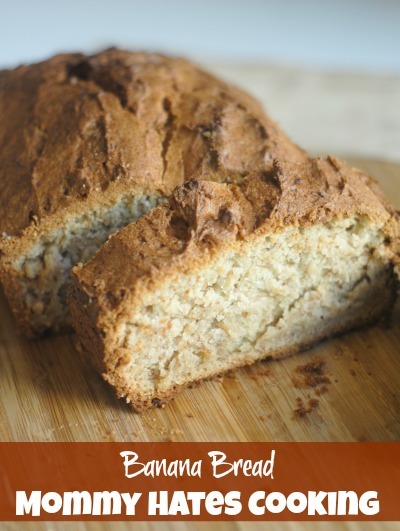 I decided to try out a new recipe for Banana Bread this week that I saw over on Cooking Light. 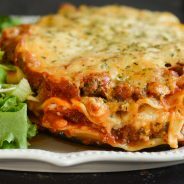 I have had this recipe planned to make for a while now but it seemed like it kept getting pushed back the more busy our days have been. This past weekend though, I knew I had to make this! 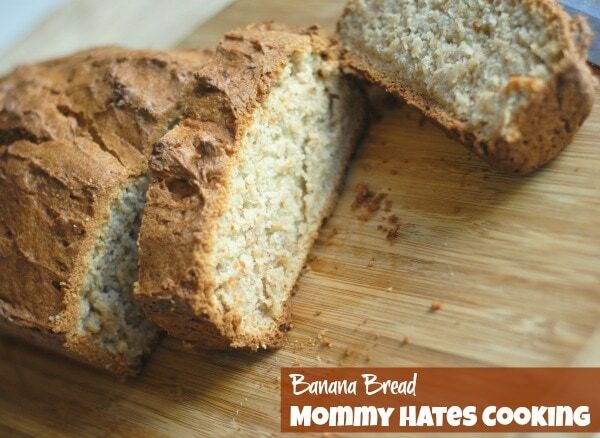 I had bananas that needed to be used up, plus I was craving some delicious bread for breakfast with my coffee. 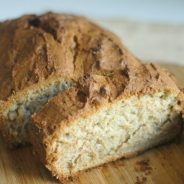 It only takes a few minutes to put together this bread and uses exactly what you have in your pantry. 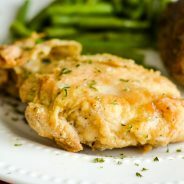 I made this gluten free by simply switching out my flour to a gluten free all purpose flour. Are you ready for a bite of this delicious treat? I say pour a glass of coffee and enjoy! Add banana, yogurt, and vanilla; beat until blended. Add flour mixture; beat at low speed just until moist. Spoon batter into an 8 1/2 x 4 1/2-inch loaf pan coated with cooking spray.